Tarsem Singh (The Fall, Mirror Mirror) has a thing for rococo interiors and exotic architecture, but aside from a handful of scenes—a Donald Trump-like Manhattan apartment covered in gold leaf, a makeshift lab with translucent walls—the new sci-fi thriller Self/less never gives him a chance to indulge in fantastical spaces, which partly explains why it’s the first of the director’s movies to seem short on imagination. 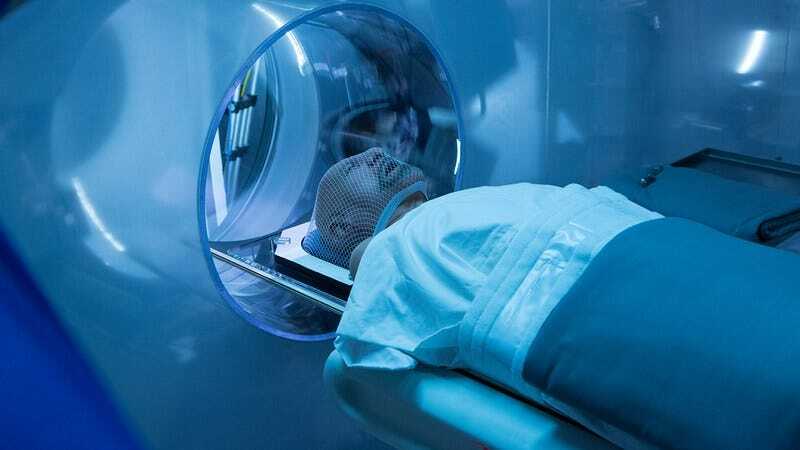 Terminally ill real estate billionaire Damian Hale (Ben Kingsley, doing a clipped approximation of a Queens accent) pays $250 million to a shady organization in order to have his mind transferred into a new body. Given a new identity as “Eddie Kidner” (Ryan Reynolds, who doesn’t seem to be playing the same person as Kingsley), a 35-year-old retired entrepreneur, he is relocated to production-incentive-friendly New Orleans and given a chance to start over, albeit under the watchful eye of minders who keep him supplied with little red anti-rejection pills while his mind gets used to its new home. Singh’s signature has always been converging aesthetics, but here he mostly sticks to a bland contemporary thriller look, color-graded cornflower blue. 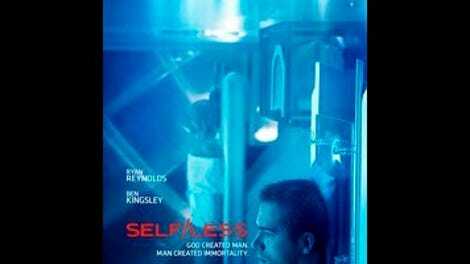 Despite an early twist that lends the high concept a shade of poignancy, Self/less never really gets over the fact that much of it consists of a bland-ish, raincoat-clad everyman driving around and pointing guns at people before the inevitable, underwhelming confrontation with the big bad. (There is a germ of a capitalist critique here, too, but like most of the story’s most interesting ideas, it is left undeveloped.) Singh has developed a cult following for his extravagant attempts at visualizing the workings of the mind—in The Fall and his debut, The Cell—but the best he comes up with for the hallucinations and memory lapses Damian suffers as a result of the procedure are digital warbles sprinkled with the occasional out-of-place horse. It’s only during the percussive, abstracted montage that introduces Damian’s new life in New Orleans that the viewer gets a sense that there’s a creative personality at work here that’s in any way out-of-step with the Hollywood mainstream. But, as in Seconds—the creepy John Frankenheimer movie from which Self/less borrows many key plot points—there’s an undeniable morbid sadness to the amnesia-themed-shooter premise, especially once it expands to include more “shedders,” as the newly re-housed are called: a Russian goon who’s jumped bodies so many times that he’s turned animalistic; a child being raised in a house without mirrors, unaware that his parents had him transferred into a healthy new body; a young-looking shedder who pays regular visits to an elderly spouse whose Alzheimer’s can’t be cured by a new body. One still can’t shake the sense that a movie with so many weird concepts—say, a secret body-swapping business operating out of a warehouse for Mardi Gras floats, or a death-like state being induced by a cup of poisoned chicory—should be weirder. In other words, it probably shouldn’t star Ryan Reynolds, who is generally likable, but frequently miscast. Only Kingsley’s bizarre, severely mannered performance seems to be following the undercurrents of the material. For thoughts on, and a place to discuss, the plot details not talked about in this review, visit Self/less’ spoiler space.